Sport brands are a central element of modern sport business and a ubiquitous component of contemporary global culture. 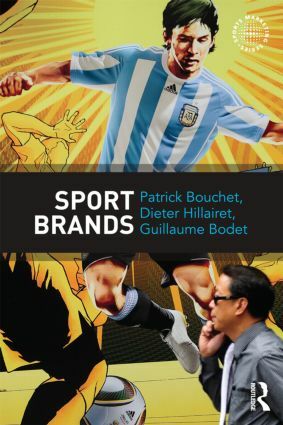 This groundbreaking book offers a complete analysis of the topic of sport brands from both a marketing management approach (strategy and implementation) and a psycho-sociological approach (consumption and wider society). In doing so it explores both supply and demand sides, offering a complete introduction to the nature, purpose and value of sport brands not found in any other sports marketing text. The book covers the whole heterogeneity of sport brands, going much further than the sport team and league brands covered in most other books. As well as teams and leagues, the book considers the brands of sports celebrities, events, media, computer games and governing bodies, as well as the ethical, professional and technological ‘label brands’ associated with sport. Richly illustrated with cases, examples and data, the book explores the tangible and intangible influence of sport brands, their economic and social value, and the subcultures and communities that grow up around them. It also introduces common strategies for growing brands, and growing through brands, and examines the challenges and threats that sport brands face, from boycotts and ambush marketing to counterfeiting. An understanding of sport brands is essential for a fully rounded understanding of contemporary sport marketing. As a result, this book is important reading for any student or practitioner working in sport marketing, sport business, or mainstream marketing management.